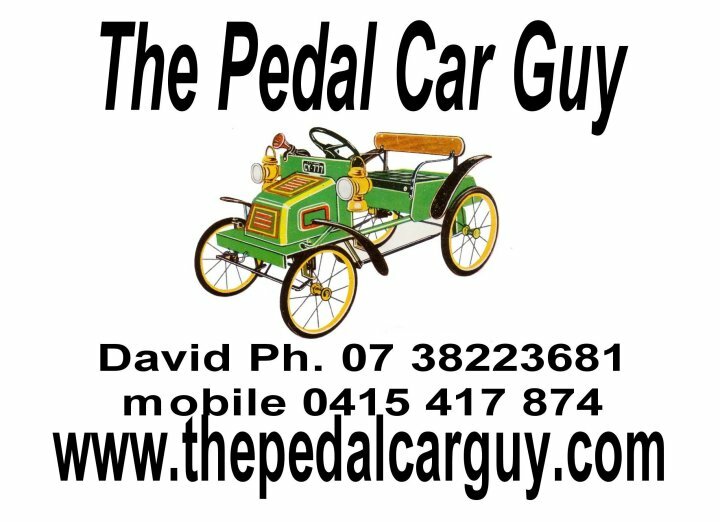 All pedal cars that are for sale are genuine antiques, some have had minior repairs and some are as is, it is quite hard to get original parts the solution is easy, I use parts by Dave the Pedal Car Guy (I also have a range of parts for Peerless and other brands available), all of my parts are Australian made by me Dave The Pedal Car Guy. All Genuine interests are always welcome call me. 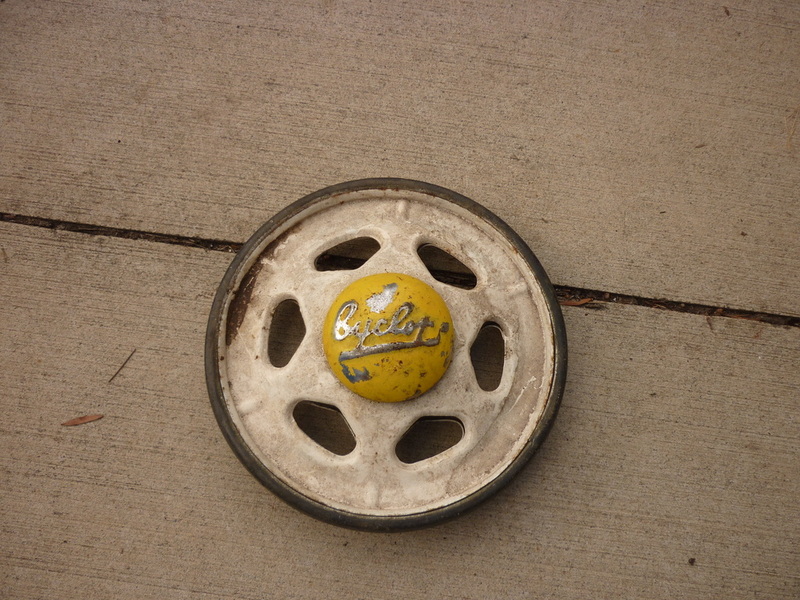 Cyclops Triang WheelsCyclops Triang embossed in the white rubber. 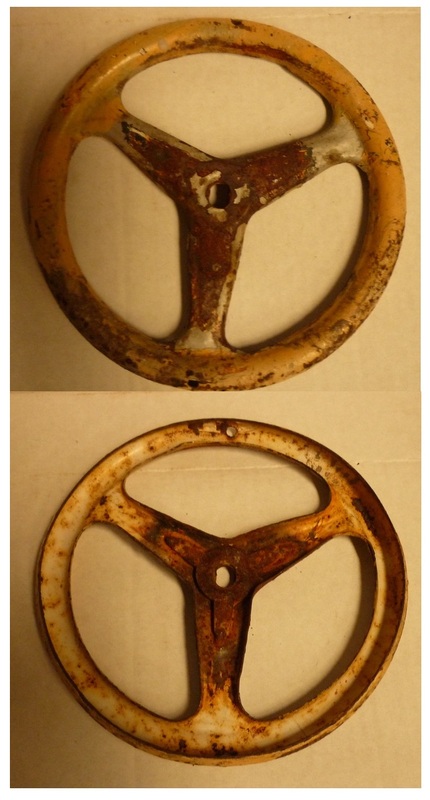 Original Cyclops pedal car steering wheel.